Dr. Gentile works with many of his male patients to help them reverse the unwanted signs of aging on their face, specifically the eyes. Through this procedure, Dr. Gentile can maintain masculine facial features while providing youthful results. To learn more, please contact our office today and schedule a private consultation. Male eyelid surgery, also known as blepharoplasty for men, is a procedure tailored just for men because it removes excess skin from the upper and lower eyelids, similar to female eyelid surgery, while maintaining the masculine facial features. After all, the eyes are the window to the soul, and as a man, you want them to be striking in appearance for all of the right reasons. The eyelids are one of the first facial features to give away your age. Whether you have droopy upper eyelids or puffy lower eyelids your eyes may have lost that youthful sparkle making you look tired even if you are rested. Facial rejuvenation procedures designed for men can be an effective way to minimize the unwanted effects produced by stress, age and sun exposure. The results achieved with male eyelid and/or face lift surgery are similar to those enjoyed by women, but the approach is quite different. Men also want to look the younger version of themselves but generally do not want big changes. With men it is important to create natural results that will improve and maintain a masculine youthfulness without being obvious. 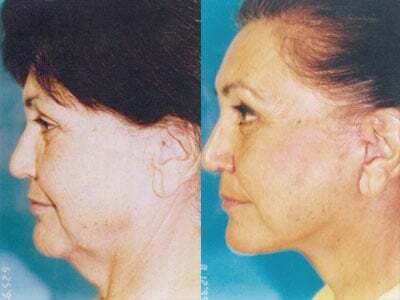 Today Dr. Gentile uses techniques that are much more sophisticated than those used in the past with the goal to make you look like a younger version of yourself. Blepharoplasty is the number one cosmetic surgery procedure performed on men today. It is designed to address and refresh your droopy upper eyelids and puffiness in your eyes. More and more men are choosing this procedure as a way of rejuvenating the face and eliminating signs of aging. It is performed under local or IV sedation and takes usually less than 1 hour with a short 5 day recuperation period. You can rest easy in the hands of Dr. Gentile who has been Board Certified by the American Board of Facial Plastic and Reconstructive Surgery, American Board of Plastic Surgery and the American Board of Otolaryngology/Head and Neck Surgery. Best Doctors, Castle Connolly and the Consumer Research Council of America have referred to him as one of “America’s Top Plastic Surgeons,” more than once. Many conditions bring men to seek a male blepharoplasty, and that includes wrinkles under or around the eyes, excess skin surrounding the eyes, deep under-eye bags or pockets, ptosis or droopy eyelids, double eyelid and many other conditions where it is important to correct skin laxity. 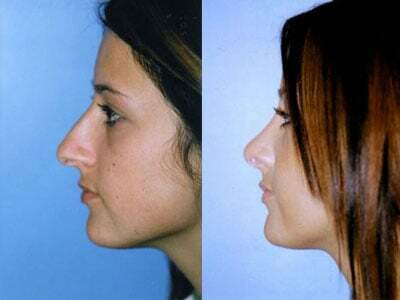 The biggest hurdles we see for patients obtaining the correction they need to improve their appearance in their desired way is the fear that removing the excess skin will make them look more feminine. We make maintaining the male facial structure our number one goal, and as such, we perform the procedure in such a way that you will not be left with simply a soft, feminine appearance but a more manly correction as well. The consultation by Dr. Gentile is a comprehensive examination that will serve as a medical evaluation to help determine candidacy of patients for male eyelid surgery and any other procedures determined to be a appropriate at the time. As one of the country’s triple board-certified plastic surgeons, patients can expect more than just an accurate quote for their male blepharoplasty procedure, but a treatment plan tailored to their needs. Topics that will be covered include your medical history and details of any prior surgeries or medications that may interfere with the results you want. In all likelihood, you will be given a clean bill of health at which time you can make an appointment for your male blepharoplasty procedure if you are so inclined! We are ready to help you see the change you want to see when you are. What to expect post surgery will be thoroughly discussed with Dr. Gentile and a complete treatment plan will be made to ensure your best recovery with as much comfort as possible. There are many logistical details that Dr. Gentile and his office will help you prepare ahead of time both before and after the male blepharoplasty for the best outcome of the procedure. It is important to stop smoking and stop taking anti-inflammatories such as Aspirin and Advil/Motrin (but Tylenol is okay) for at least two weeks. Remember to arrange a ride home because you’ll need help for the first day or two as the procedure can temporarily cause your vision to be blurry due to swelling. Fortunately, it takes 1 hour or less to perform male eyelid surgery. The eyelid procedure is performed using a local anesthetic on an outpatient basis, meaning you will be able to return home once it is completed. While some more extensive procedures or those adding additional procedures need IV sedation or general anesthesia, it is rarely the case with upper blepharoplasty. Combining upper eyelid surgery and lower eyelid surgery is often done together, and this can also make for the need of IV sedation. The details of the procedure will be discussed in full detail before the day of the surgery. The most common reason to perform an upper blepharoplasty is to remove the excess skin that has occurred with aging. We know that the bold features of the brow and more prominent muscles around the eye make for striking features and the goal of the male eyelid surgery is to enhance those, not take them away. Detailing and making the natural crease of the lid is one of the goals of the surgery. 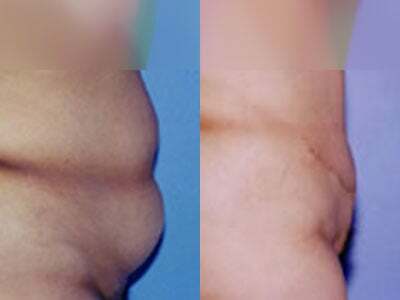 Often some fat is removed depending on the anatomy of the patient. While we do use fast absorbable sutures the scarring is often completely invisible over time and minimal to begin with as it is placed on your natural crease fold. There are two techniques that we use for male lower eyelid surgery because they each have two slightly different benefits and purposes. Transconjunctival incisions (inside of the eyelid) treat unwanted fat that has accumulated around the area. Subciliary incisions (along the lower lash line) are used for trimming the excess skin. While both create a rejuvenated lower eyelid, Dr. Gentile uses the transconjunctival most of the time as no scars are visible and the extra skin contracts avoiding the need to have an outside scar. The male facial structure has a complex set of structures that require their own treatment plan for each patient to achieve the desired results. Dr. Gentile understands that procedures of this nature are especially life-changing for men and creates a plan to make sure to enhance masculine features regardless of the procedure. Often along with male eyelid surgery, he recommends Botox or less commonly a brow or forehead lift to return these chiseled features to your face, depending on your face shape and goals. Over the years, youthful skin tightness and a higher brow line are givens, but often both become less visually appealing over time. A male brow lift, with incisions hidden behind the hairline when possible, takes the positioning of the brows back to where they were in your youth. Special care to keep a heavier brow line compared to a woman’s softer brow line is not only accounted for, but you may find your face looking more masculine, and certainly more youthful than you began with. However, Dr. Gentile rarely recommends a brow lift and usually will resort to Botox to lift your brow. Botox is the solution for unwanted lines and wrinkles around the eyes, mouth, eyebrows, forehead, and any other problem spot on the face. A non-surgical method to treat the signs of aging, Botox works for about 2-4 months to temporarily smooth the signs of aging by restricting the movement of the muscles in that area of the face and also lifting your brows. This may be a good alternative for you and will be discussed at your consultation. Post-procedure, the first week following the procedure are the most important to ensure the success of the new masculine, more youthful features that made choosing this particular procedure. Keep in mind that while self-absorbing stitches are used, they usually will take 5 – 6 days to self-remove. Usually, you will be presentable in 5 – 7 days. You will be prescribed pain medication as needed, and even Tylenol, but avoid anti-inflammatories and keep your head elevated even when sleeping, so that swelling is lessened. Your symptoms will subside much more quickly by following these instructions. To further assist your comfort, dark sunglasses can be worn to assist during the immediate postoperative period. Also, we recommend using ice or cold compresses to provide additional comfort for the first 24 hours. The result will be a rejuvenated look that you will notice as less tired and more relaxed. Any additional concerns you have regarding the recovery process will be answered and discussed in full detail at the time of your consultation. The office of Dr. Gentile is more than mindful of the fact that budgets, as well as expectations, vary greatly from patient to patient. At the consultation, everything will be all-encompassing along with the medical examination and discussion of goals you want to achieve with your appearance. While many who opt for the male blepharoplasty also opt for additional procedures to enhance their results all at once, a treatment plan that allows for time between can also be accommodated. Dr. Gentile will discuss all of your options prior to the procedure, ensuring both your readiness for the procedure or procedures themselves and the costs associated. Payment plans and other financing options will also be offered. All questions and concerns will be handled with the greatest of care. To schedule a consultation, contact our office today and speak with a helpful member of staff. To get clear on your goals and how our office is best equipped to help you reach them, contact us by calling (361) 881-9999.